Could he be the next Elton John, Billy Joel, or Bruce Hornsby? 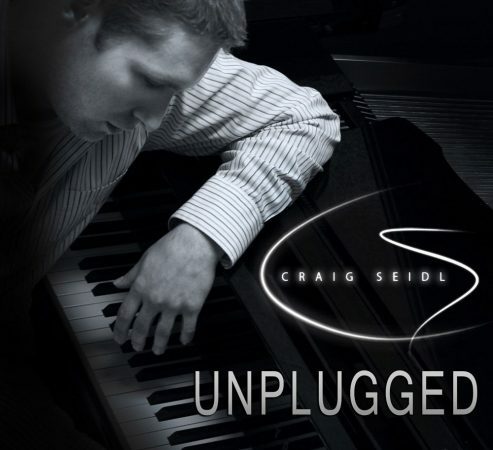 He’s Craig Seidl, a self-taught, glove-wearing, storytelling pianist from Kenosha, WI. He might not be able to read music but can rip on the keys with the best of them. At the age of 20, while working in Los Angeles, Craig discovered his hidden talent for the piano while developing a new computer system for High-Definition (HD) workflows in the film industry. 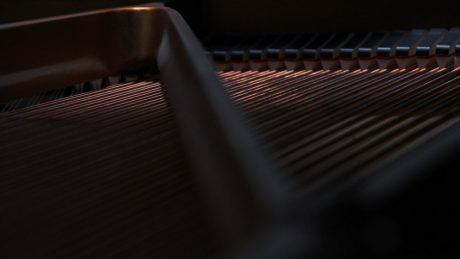 He purchased a digital piano as a simple test to see if he could create a soundtrack in ProTools, and play back the large HD files in real time on the same computer. While his development was a success, he was tasked with demonstrating the system’s abilities in presentations, so he quickly learned to play simple film soundtracks on the piano by watching YouTube videos. After a few months, it became increasingly easy for him to advance. “By not having to worry about learning scales and reading music, it became fun for me! I started playing every day and it became something I loved to do.” says Craig. Who needs a major recording deal, just produce it yourself! Technology is making everything you need to record music affordable for consumers, and the internet provides you with a worldwide playground to promote your own work. “I listen to it in the car, during work, while meditating, during workouts, and in the shower… music keeps me motivated in everything I do. With so many great stories to tell and my natural talent to play piano has inspired me to produce my own music without the help of a record label.” he says. 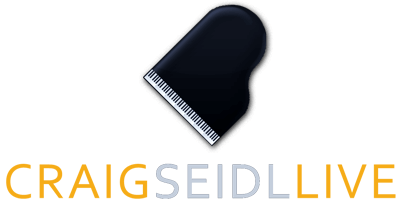 Craig Seidl has a passion to inspire other independent artists to effectively use the current tools available to produce, distribute, and promote their own music without selling all rights and licensing to major record labels. “We are in the information age, where you can teach yourself anything if you put your mind to it. After spending over $80,000 on film school, I had no option but to teach myself the ins and outs of music industry, including both software and hardware, and it was all done online.” says Craig. 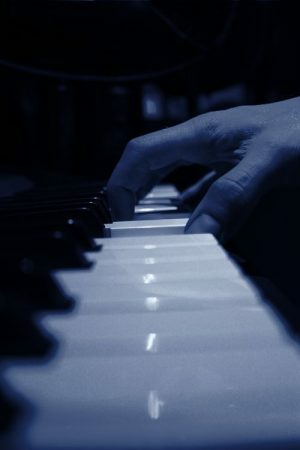 Why do you wear gloves when you play piano? Craig discovered the perfect pair of gloves that allowed his fingers to move freely and not restrict his playing. Many people ask Craig why he wears gloves while performing? He says he came up with the idea after he started playing public grand pianos at colleges, malls, hotels, and airports. “Sometimes your hands get cold, clammy, greasy, or sweaty; and the gloves provide consistency every time you play. Also, most public grand pianos are in air conditioned rooms and the cold keys make your hands cold and stiff. When your hands are warm, the blood flows better making your playing smoother. Once you get used to playing with gloves, it’s like they are not even there.” he says with a smile. YouTube Generation and a new way of learning. YouTube videos taught me how to play my favorite songs on piano. By learning cover songs via YouTube, Craig was able to learn simple pop songs very quickly, until he came across Bruce Hornsby. Through Bruce’s complex solos, unique chord progressions, and mind blowing live performances, Craig’s world was not only opened to a new style of playing, but the experience advanced his skills as a pianist. Craig’s music has also been influenced by Elton John, Billy Joel, The Beatles, Eric Clapton, Journey, Radiohead, in addition to numerous other classical piano geniuses and modern film composers. Always thinking about the future and growing as an artist. Craig has great projects in the works, some secrets can’t be released yet! Craig has always been very ambitious, constantly setting new goals and thinking of possible ways to innovate the industry. Seidl has released 2 live unedited solo piano albums to date and is in the process of recording his 3rd album. He plans to release his EP album with 3-5 songs that will include more instruments and orchestral elements. The release date is TBD but you can see his progress by watching his archives on his YouTube Channel or website. Craig has also been working on building a studio for live studio streaming broadcasts. Fans will be able to view live piano performances, practice sessions, 1-on-1 tutorials, and the behind the scenes action of recording sessions. Seidl provides an interactive experience with his fan base; where fans are encouraged to request songs, ask questions, and collaborate in the song-writing process. Make sure to check his website calendar to see when he goes live next and get in on the experience!